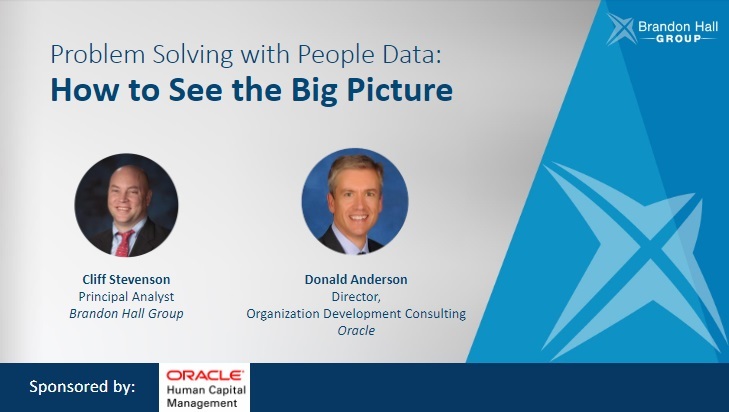 In this session, guest speakers Cliff Stevenson, Principal Analyst, Brandon Hall Group and Donald Anderson from Oracle discuss the latest research into evidence-based decision-making and the benefits of a holistic view of organizational data. 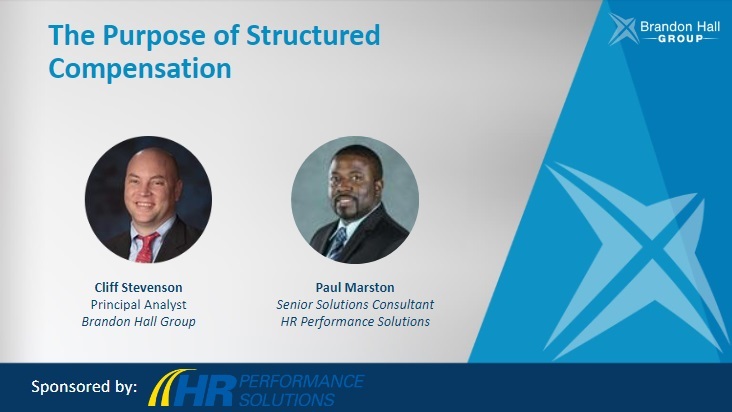 We explore what happens when companies combine data from diverse departments from across the business spectrum, what it means when data from HR is fully utilized — and what is required to do so. 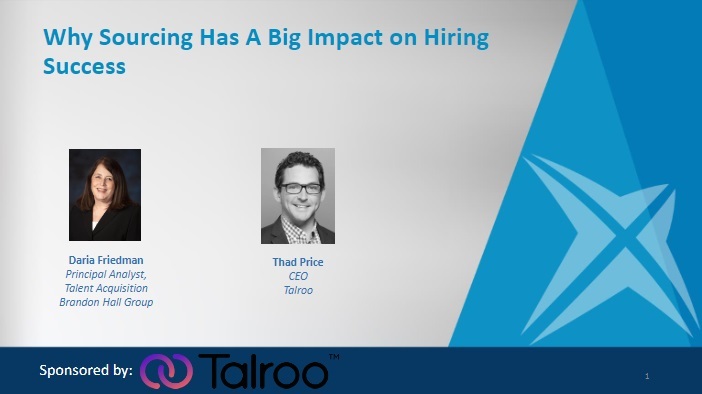 Brandon Hall Group talent-acquisition research reveals that about one quarter of organizations operate in a reactionary mode for sourcing, evaluating or onboarding candidates. These organizations are unable to consistently fulfill current hiring requirements, nor predict and plan for new talent to address future needs. he learning technology space has grown quite complex in recent years and many organizations are struggling to find the solutions that will work best form them. 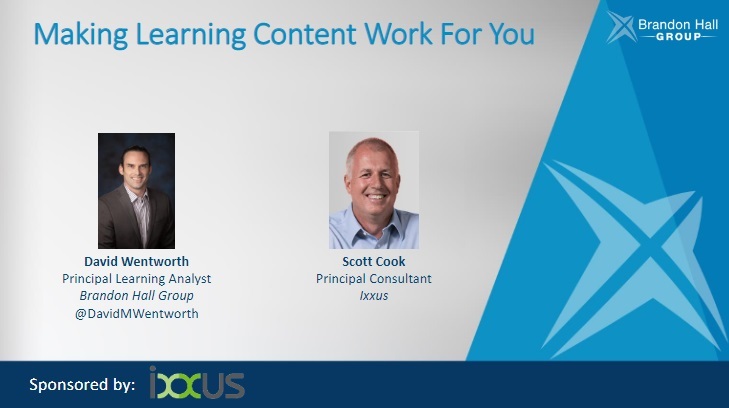 It starts with needing to solve a problem or address a challenge, and one of the biggest learning challenges facing companies today is managing the creation and distribution of their learning content. Finding solutions to meet this challenge requires diligence and governance. Modern Productivity tools and work practices increasingly focus on cohorts and collaboration – yet counter to that trend, we see much of the focus of innovation in learning technology focus exclusively on the individual. 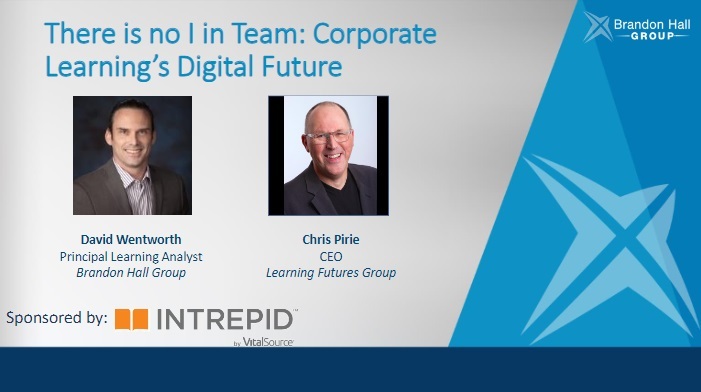 Why should corporate learning have to deal with such a disconnect? There is real power in collaborative learning, and the technology is available to harness that power for high quality team-based learning at scale. 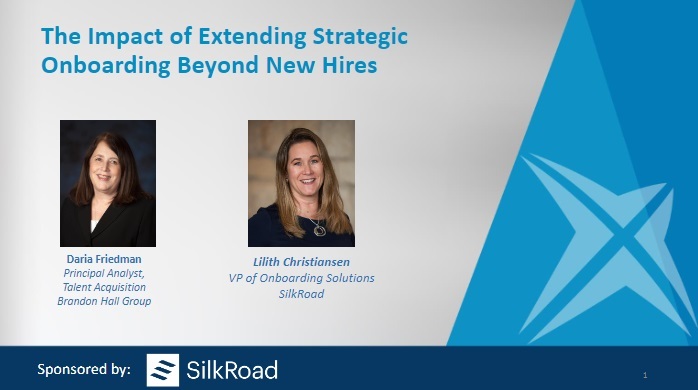 Organizations are flocking to improve their onboarding practices because they see the benefits – reduced new-hire attrition and improved new-hire engagement. 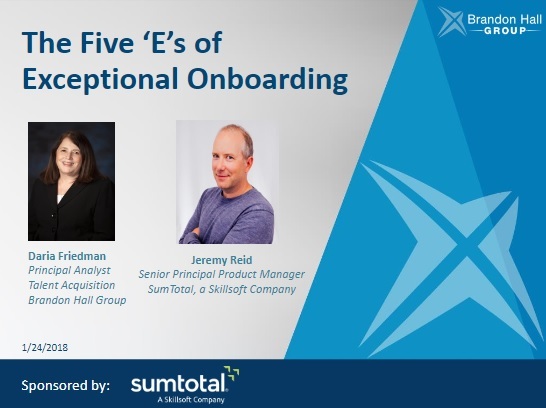 Brandon Hall Group’s research also shows a big jump in the percentage of organizations in which onboarding is enabled with technology and aligned with business goals, talent management strategies, and linked with many learning and development opportunities. Recent data shows that most high-performing organizations now embrace ongoing, in-the-moment performance management over annual or fixed-period performance review cycles. It’s a significant shift. And people, processes and technology all play vital roles in this continuing evolution. 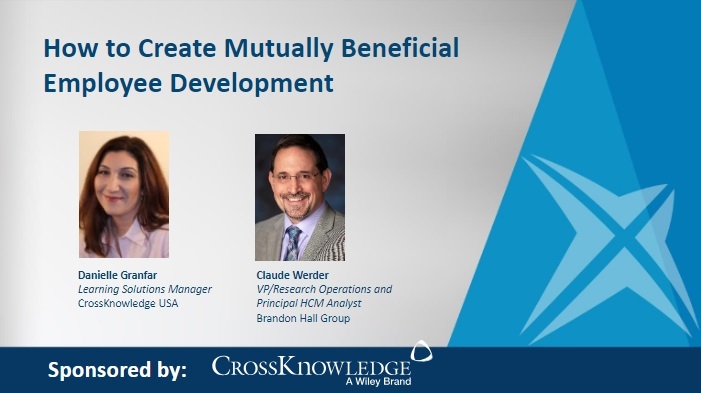 So how do organizations enter the next era of talent management? You’ve implemented a strong sourcing program, a creative recruitment marketing strategy and an engaging onboarding program. But did you know none of these initiatives matter if your candidate interview experience is less than stellar? 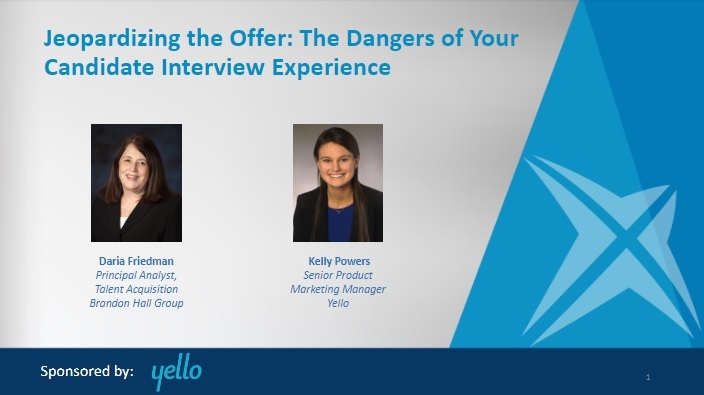 Why is it that this often-overlooked part of the candidate experience so important? 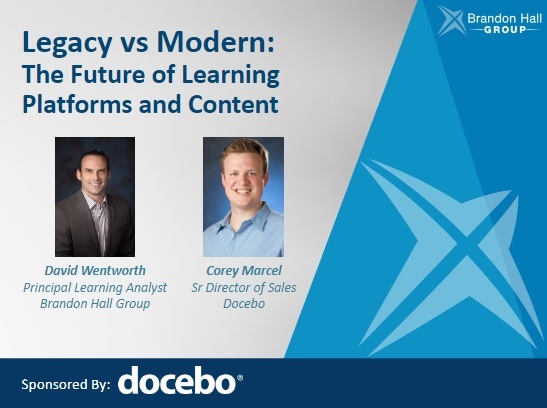 As the modern learning environment quickly evolves, organizations are struggling to understand how their content fits in. It’s time to re-think curriculum design with an eye on the learner experience. 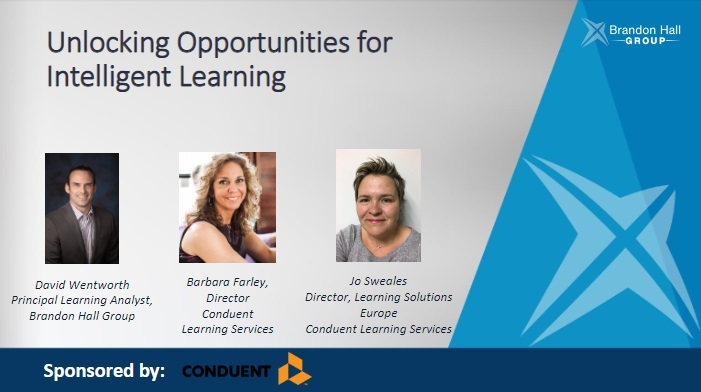 Organizations need to increase their focus on the up-front analysis and design of learning content to determine the ideal blend of learning media, learning content and content sources to achieve desired outcomes. HR Professionals strive to develop a great employee culture with a highly engaged, productive, innovative, and collaborative workforce. 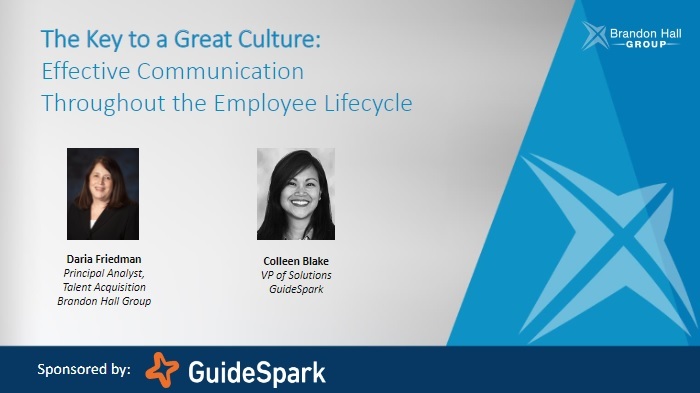 The driver to developing that culture is compelling and effective two-way communication, starting before Day 1 and continuing throughout the employee lifecycle. According to Brandon Hall Group’s 2018 Learning Strategy Survey, 55% of companies identify compliance training as a high priority – making it the number one L&D priority. However, in industries where compliance and regulation are even more crucial, such as life sciences, healthcare, manufacturing and finance, nearly 70% of companies say compliance is a high priority. 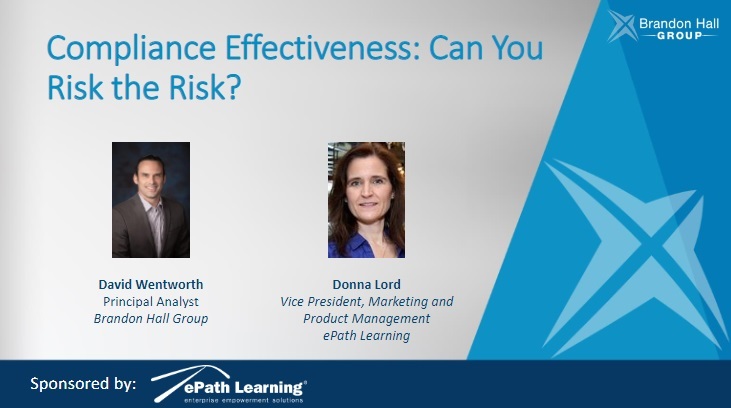 In these and other “high consequence” industries, having a technology platform that can manage compliance effectively is critical. Most companies are now using some sort of frequent check-in model for employee development, but many are not making the most of those opportunities to talk to their employees about career growth. The tools and technologies exist to help companies find and develop these emerging leaders, but internal processes must change to make use of those tools. 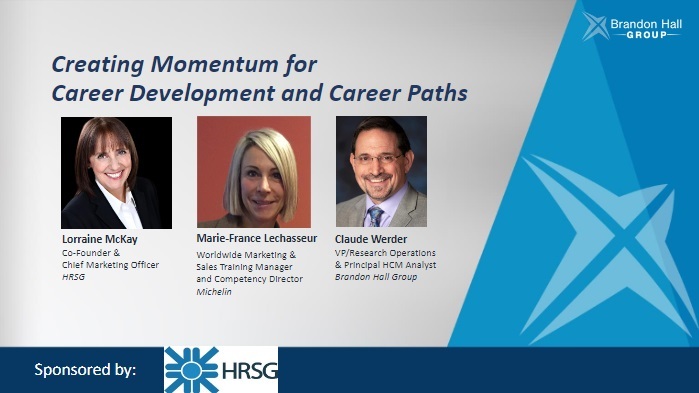 The next generation of talent that will fill the leadership pipeline requires different techniques and processes to develop and retain them, but fortunately those best practices have been identified. While the most important outcome of learning is improved performance, nearly 60% of organizations say learning is not aligned with business goals. 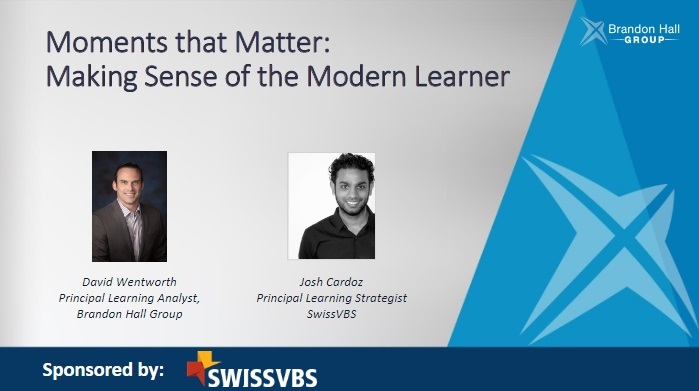 So why – and how – should organizations restore the lost connection between learning and performance? 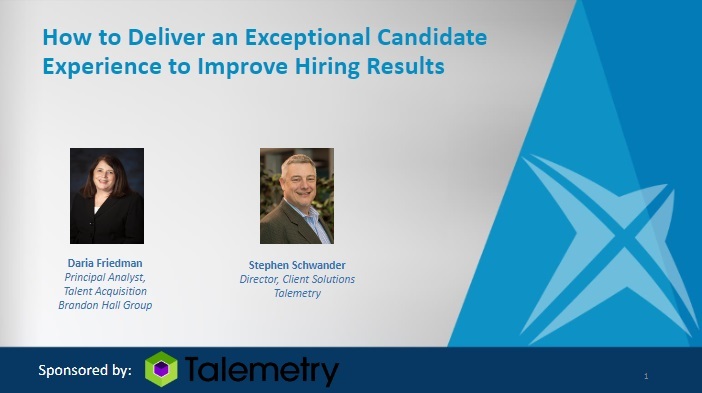 Which areas of talent acquisition best determine your organization’s level of success in terms of hiring the best talent? 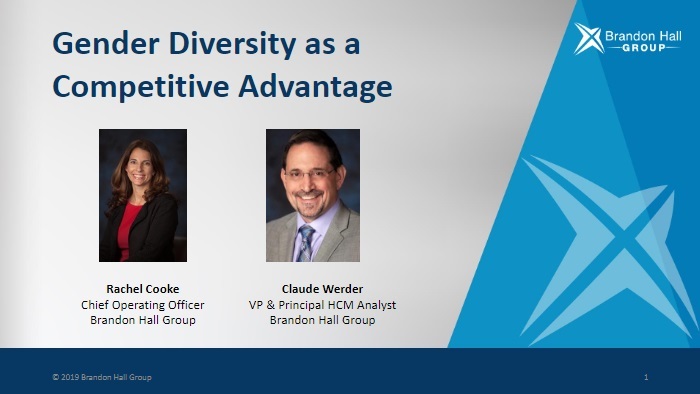 Strengthening employer brand messaging (49%) and improving sourcing practices (45%) were cited most often when Brandon Hall Group research respondents were asked about the most important changes they could make to improve hiring outcomes. The primary driving factors behind a compensation structure is to maintain pay equity throughout the organization and to ensure competitive compensation to retain talent. With Equal pay for equal work being regulated at the federal level and increasingly at the state level, organizations strive to provide transparency and structure to their compensation. Pay equity and talent retention are important trending business necessities. 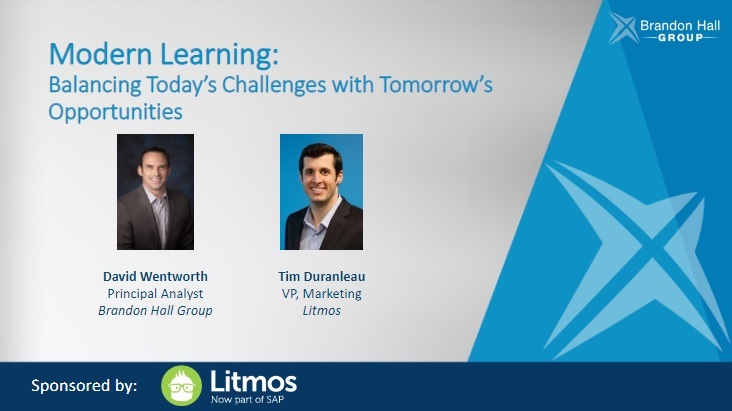 Organizations are requiring more and more technologies to deliver the learning experience the modern workforce needs to succeed, but it can be a huge challenge to get it to all work together. 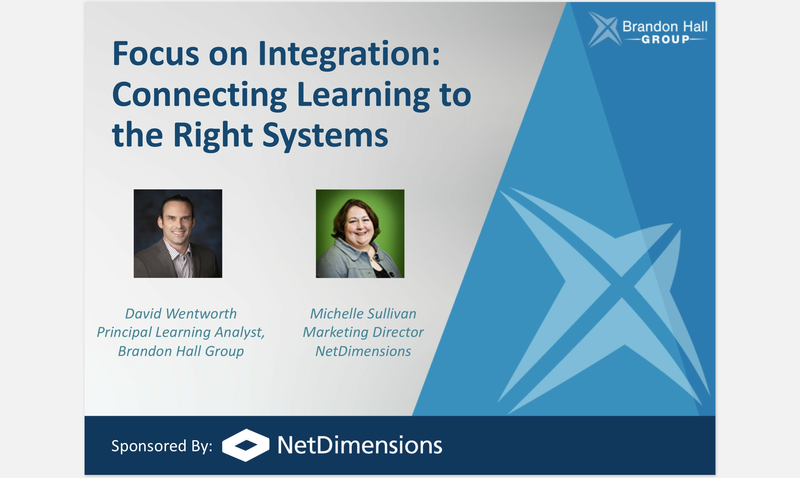 Brandon Hall Group’s 2018 Learning Management Technology Study found that most solutions get poor satisfaction rates for integration with other systems, and improving integration is the number two reason why organizations seek to replace their LMS. All of this is happening as companies seek to add solutions for microlearning, simulations, gaming, video and more. There is a big shake up, a paradigm shift in learning architecture. 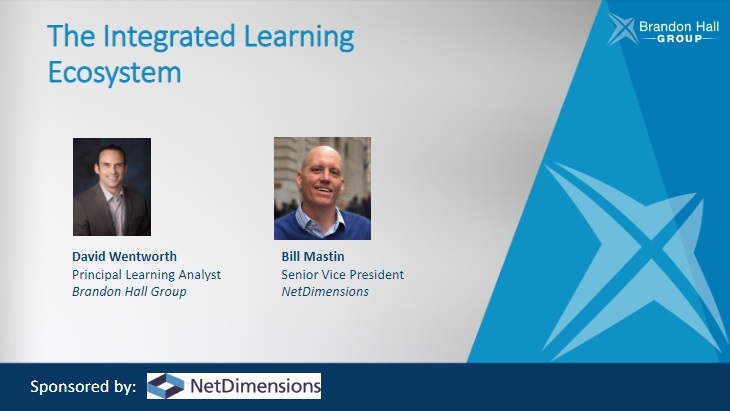 We have moved from course catalogs and compliance to micro-learning and personalization. We’ve evolved from e-learning to digital learning all in one generation. What does this mean to us not only as learners, but as learning architects? Focusing on training throughout the customer lifecycle can have a significant impact on churn. 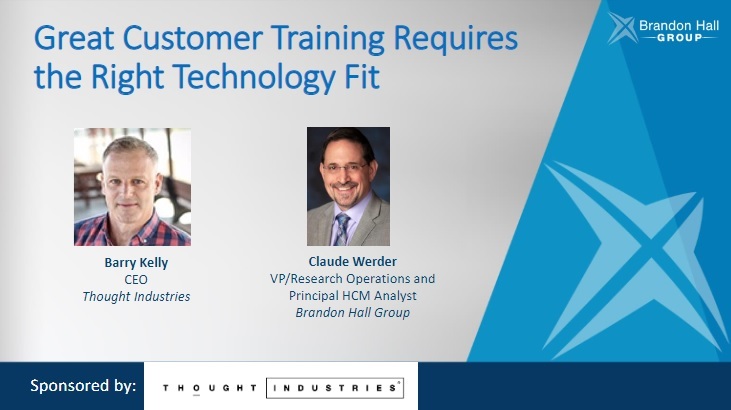 In fact, a recent Technology Services Industry Association research report found that 68% of trained customers use the product more often than those who are not trained. 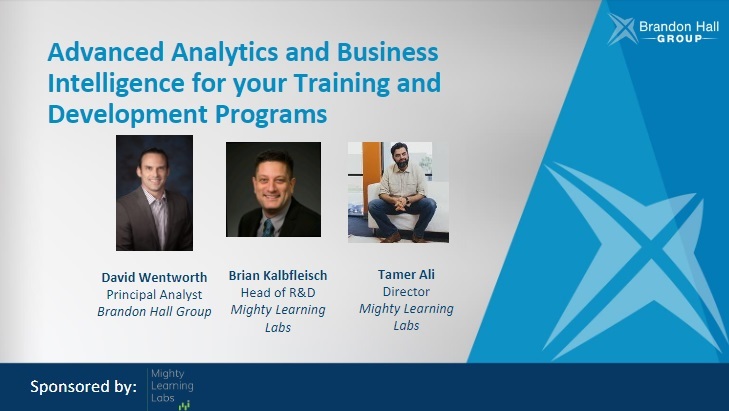 However, choosing the appropriate customer learning technology to automate many of the operations for managing users, training content, and data analytics is not an easy task. 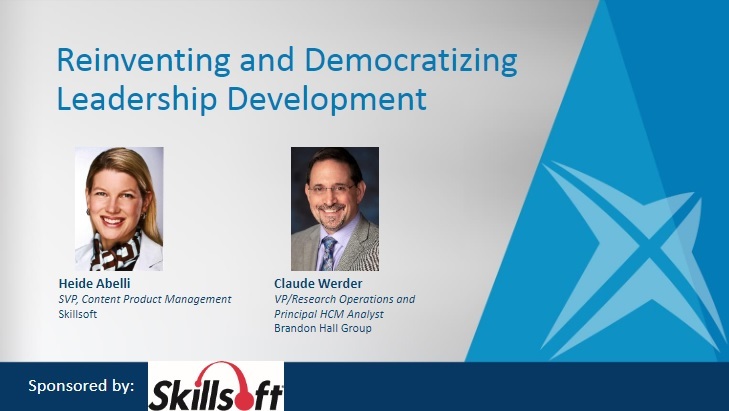 Leadership development is a huge focus for organizations, but these programs are typically geared toward developing executives. What are companies doing to make sure frontline managers are able to handle the unique challenges that role presents? How do we create and develop learning experiences that both meet the needs of today’s manager an also fits into their unique work flow? 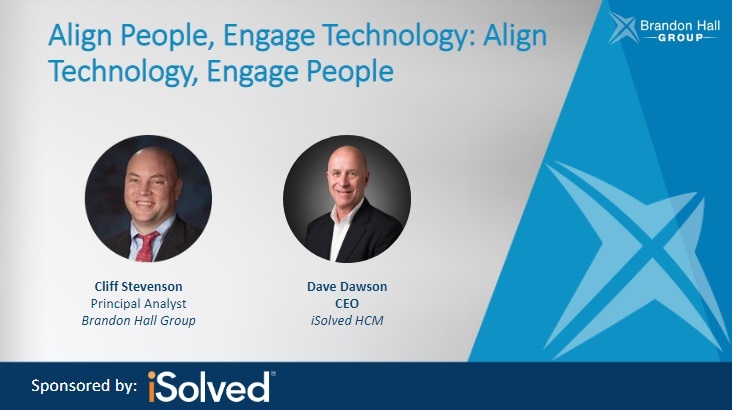 In this session, iSolved’s CEO Dave Dawson and Brandon Hall Group’s Cliff Stevenson, incorporate the insights from the latest research as well as the newest technological advancements into a program showcasing what is needed with what is possible – right now. 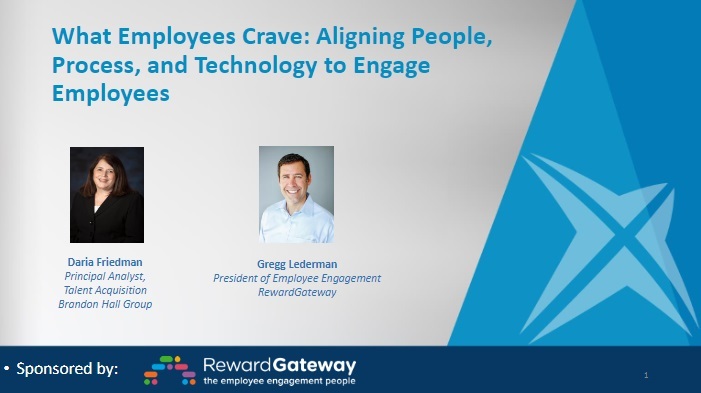 After conducting extensive research for his new book, Gregg Lederman, New York Times bestselling author and President of Employee Engagement at Reward Gateway, found that humans CRAVE three things to be motivated and engaged - respect for what they do, purpose in what they do, and strong relationships with their colleagues, managers, and companies. With an increasingly mobile and dispersed workforce, companies are looking for ways to make sure all of their employees have what they need to be successful. In many cases, that means putting learning and performance support right into their hands. Unfortunately, traditional learning material is not typically mobile-friendly. Another challenge arises when those learning audiences aren’t connected to the internet. Designing for and delivering to mobile devices can solve these challenges, both on and offline. Employees of all generations have made it clear: they want to be developed. 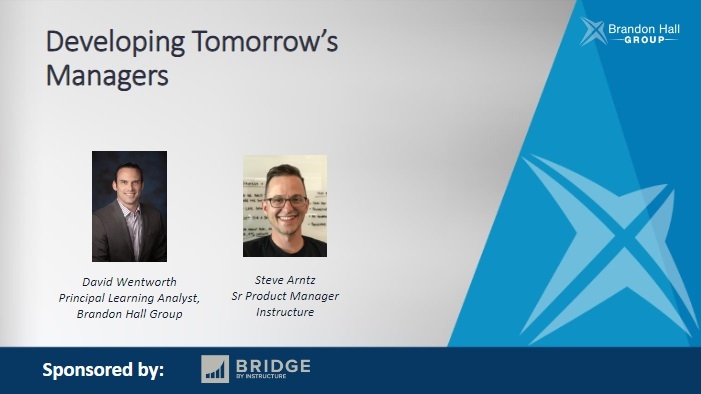 They want to be empowered and to realize their natural potential for becoming “leaders at all levels.” How do we build talent development or training programs that meet the needs of a modern, multi-generational workforce? 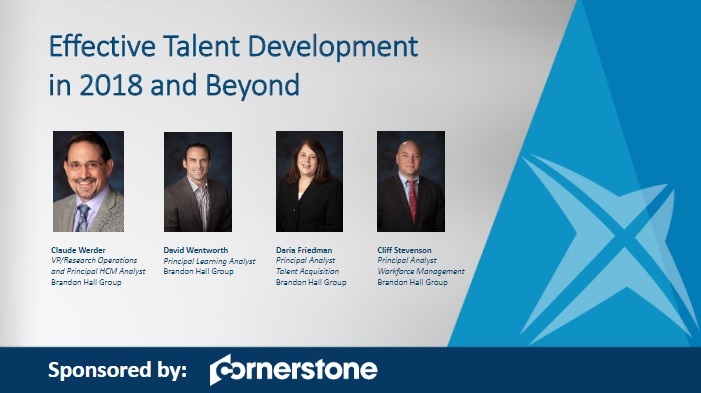 How do we align our talent development programs with our business goals of recruiting and retaining top talent? Does your organization reveal the true nature of its culture and employment experience to candidates? If not, you’re likely missing out on attracting quality talent that fits your company’s needs. 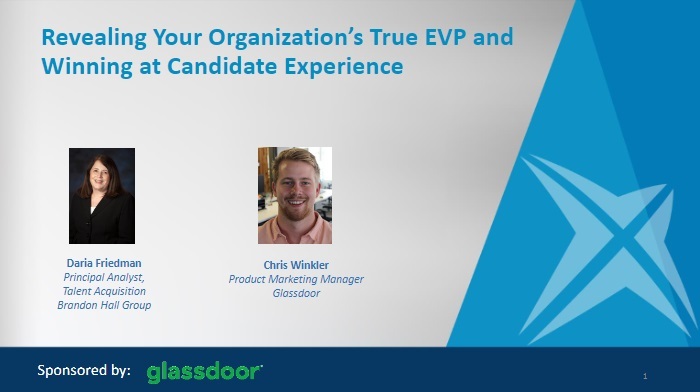 Every Employee Value Proposition (EVP) is unique, and only through transparency will you be successful in meeting your talent needs. Organizations today make substantial investments in their sourcing, recruiting and talent acquisition initiatives. Yet some companies lack tangible results to demonstrate their efforts are worthwhile. 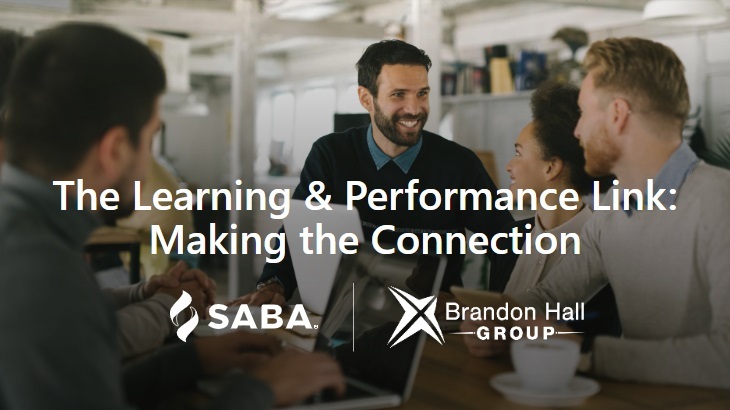 According to preliminary findings from Brandon Hall Group’s 2018 Candidate Experience Survey, approximately one-third of organizations see more than 20 percent of their candidates drop out of the recruiting and hiring process. Additionally, an average of nearly 10 percent of offers extended to candidates are actually declined. The wave of data available to organizations has been growing exponentially and organizations are hungrier for even more. They collect data from systems all across the enterprise, certain that it holds to key to improving results. 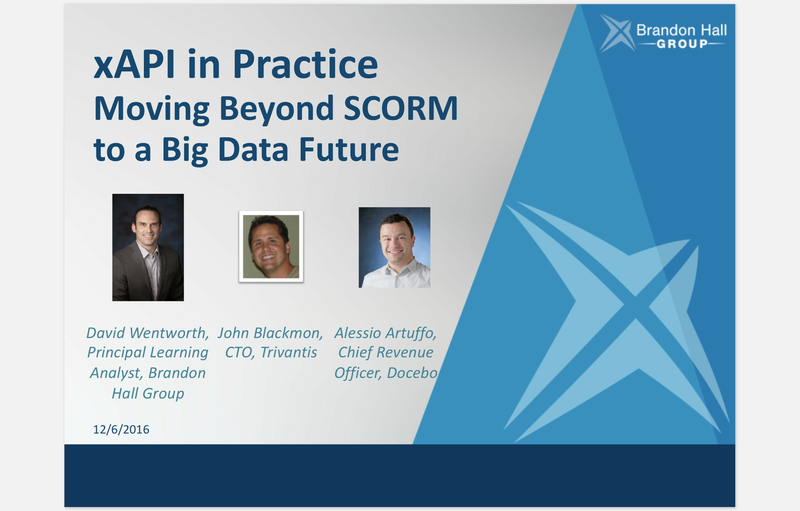 In the face of all this information, it is critical organizations get better at not only collecting more meaningful data, but also understanding just what it all means, as well. For many organizations, compliance training is seen as a necessary evil – a type of medicine to be taken. This perception can cause companies to overlook many of the details that go into the delivery of effective compliance training. And ineffective training can result in audits, fines, accidents, or worse. Compliance training can actually have a significant impact on both learners and business outcomes and companies need to do more than just check the box. Training is always a challenge for sales team. Pressure is high to be productive right out of the gate, but without proper onboarding, sales professionals cannot reach their potential. Ongoing training can be a challenge as well, as sales professionals are often remote and/or spend large amounts of time on the road or on the phone. 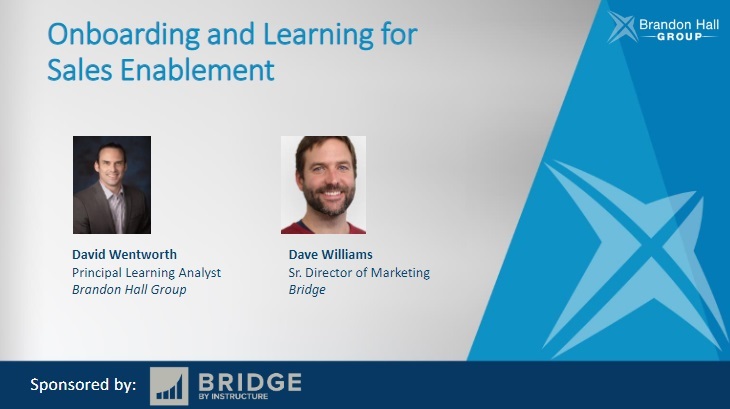 Rethinking learning technology with an eye on sales enablement can help organizations develop agile, effective sales teams. 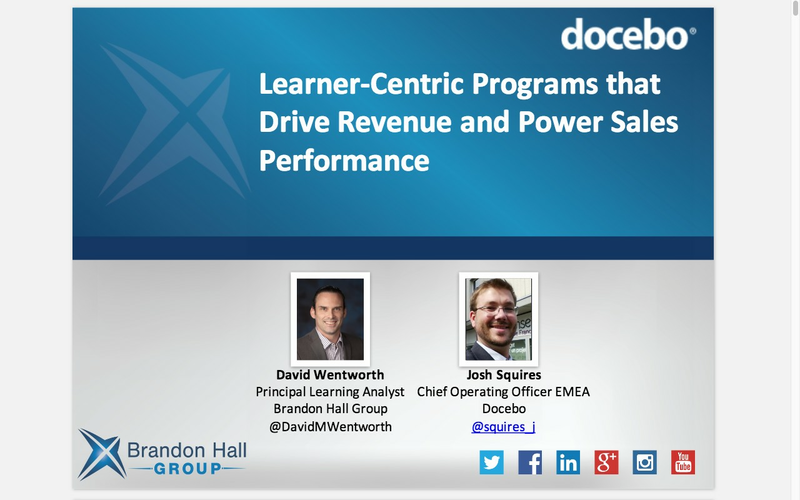 It’s no secret that tying learning to business performance has eluded learning and development. After all, without the data or the technology, proving the impact of training on the bottom line has been virtually impossible. But by focusing on the right metrics, using the right technology, and making a commitment to understand the impact of learning, it is possible to not only to measure the influence of learning on the business, but also to predict what impact it can have in the future. This means leaders can leverage data-driven recommendations continually to optimize business performance and results. In most companies, there are typically vast amounts of learning content available from numerous sources both proprietary and licensed from 3rd parties. 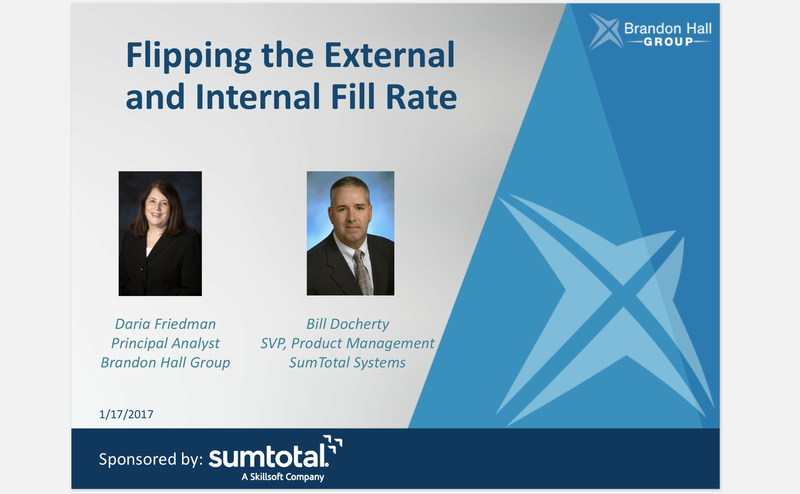 Unfortunately, that content is typically housed in siloes across the organization (shared network drives, hard drives, SharePoint, Salesforce, etc.). This impacts discoverability, increases the likelihood of duplication, and makes it difficult to control versions. This is because when authors and subject matter experts cannot find existing learning objects, they often recreate what they need. This is not only a duplication of effort, but also compounds the original issue by adding redundant content into the mix. About four out of five organizations assess job candidates or employees in some way, according to the latest Brandon Hall Group research. But traditional knowledge and post-learning assessments tend to look backward, not forward. These instruments are typically designed to measure what participants can remember rather than determining how they would apply their knowledge, skills and abilities to perform tasks, make decisions, and solve “real- world” problems. 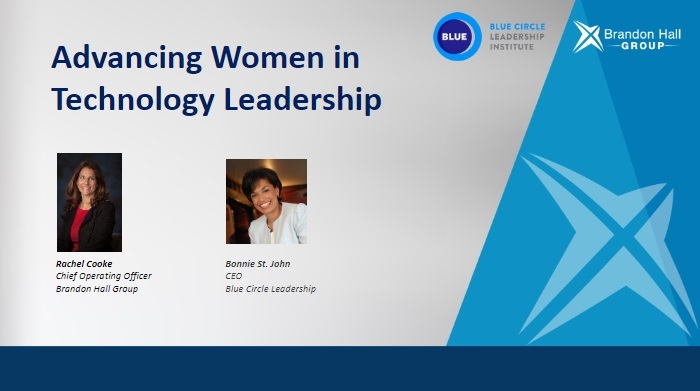 Almost all organizations have women working in technical roles, however a daunting 70% of them have women employed in less than one-quarter of their technical jobs, according to Brandon Hall Group’s 2018 Women in Technology Leadership Study. Organizations agree that people need to be able to connect with learning much more frequently, but at the same time, they do not want learning to disrupt workflow. A traditional model of classes and courses alone cannot meet these needs, so what is the solution? 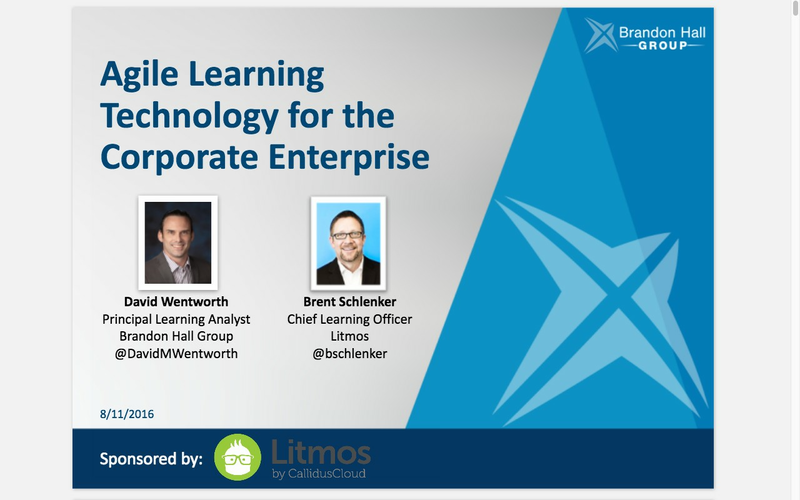 There is an ever-expanding universe of technology that is allowing companies to deliver performance-focused continuous learning that seamlessly blends into an employee’s daily life. What should an organization have in their toolkit? What can be left out? Is it possible to create an environment where learning is continuously happening, but invisible to the naked eye? 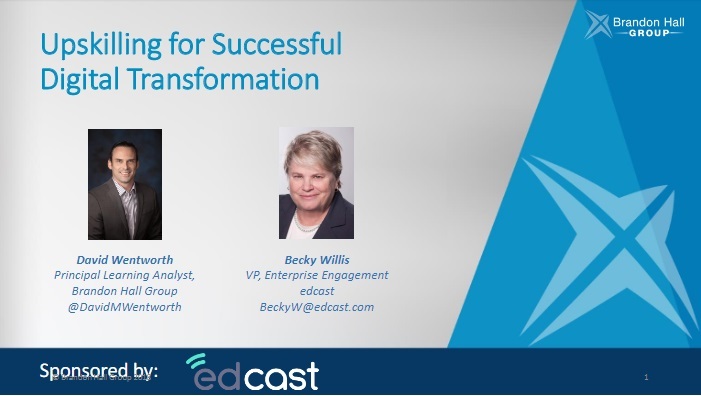 Training Magazine reports two of every three learning and development (L&D) leaders are looking for new solutions to transform their people and their organizations. But empowering and facilitating versus mandating learning requires thinking (and doing) things differently, including new tools. 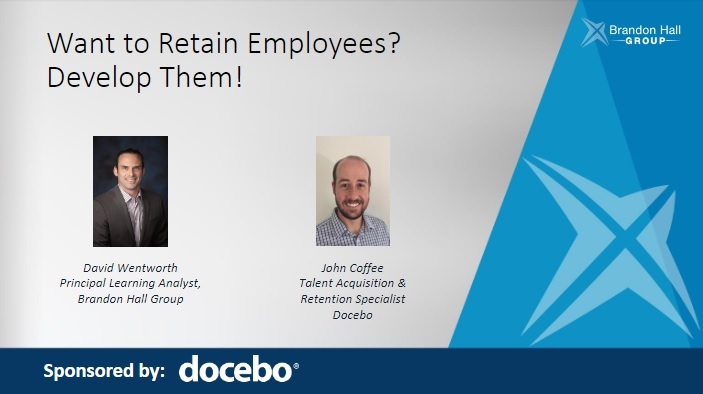 Want to Retain Employees? Develop Them! 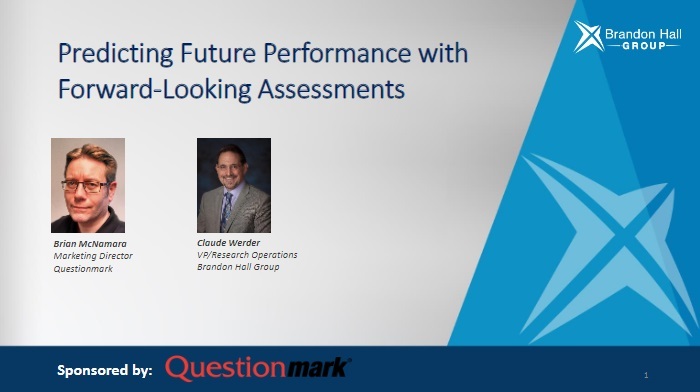 Is your organization struggling to keep top performers? 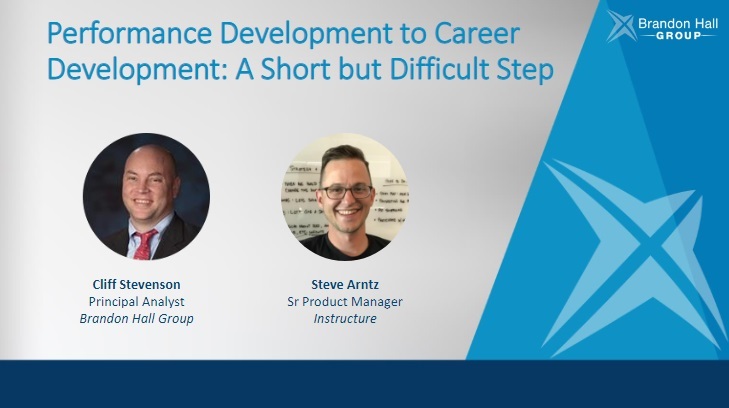 More than ever before, employees consider a lack of professional development opportunities as a top reason to leave their jobs. For example, a Gallup poll found that 68% of Millennial workers given learning and growth opportunities by their employers would remain in their roles for at least one year. 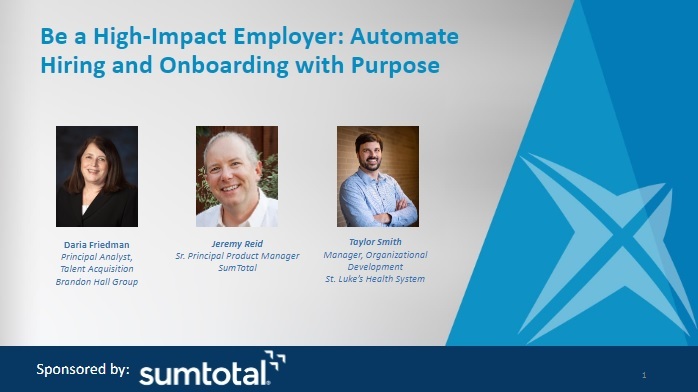 As organizations undergo digital transformation of processes, procedures and protocols, one part is often missing: people. 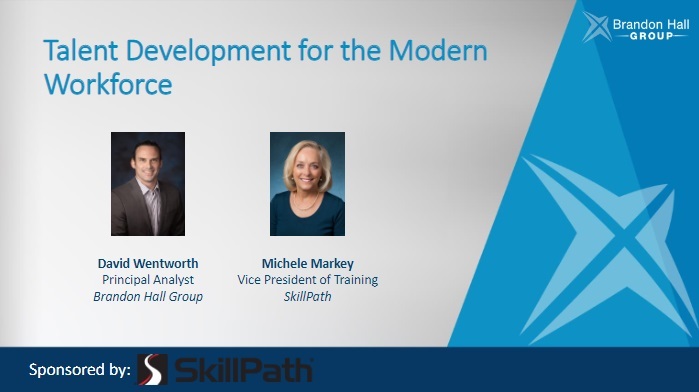 There is so much focus on the tools and technologies required to make this shift and what it means for the business, but companies are finding themselves with skills gaps in order to make the most of the transformation. 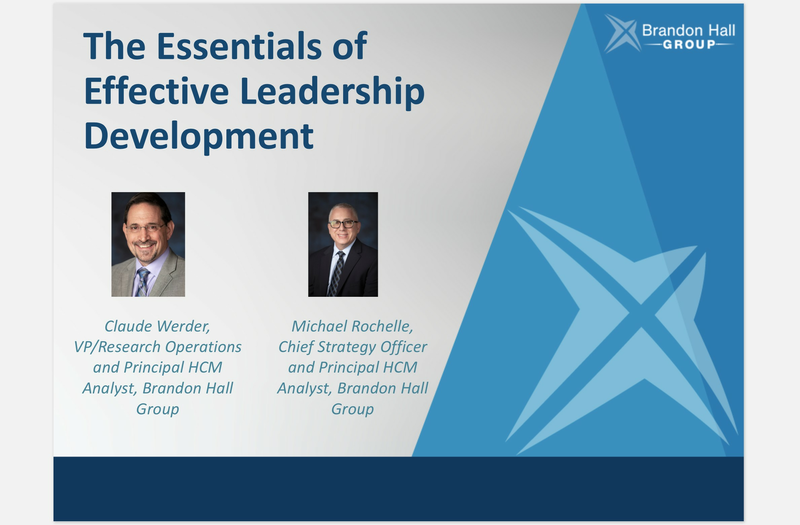 Brandon Hall Group conducts Leadership Development research every year. 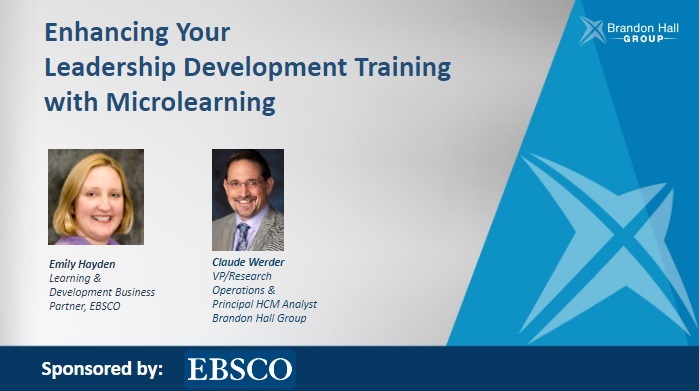 The results are generally the same – the training is ineffective, but most organizations plan to spend more money and more time doing the same thing -- largely classroom-based leadership training, predominantly to senior leaders. 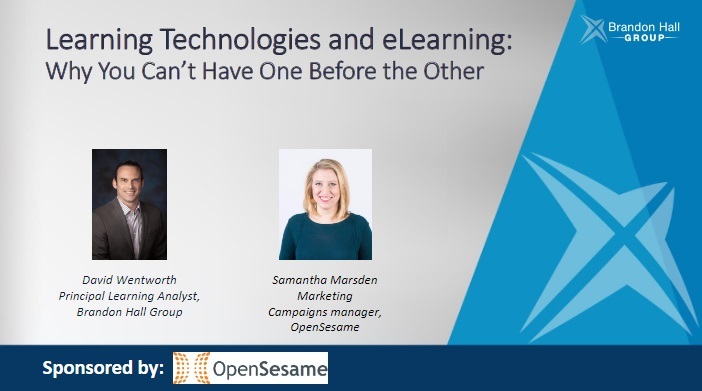 In the drive to provide learners with modern, intuitive learning experiences, many organizations focus solely on finding the right learning management technology platform first. 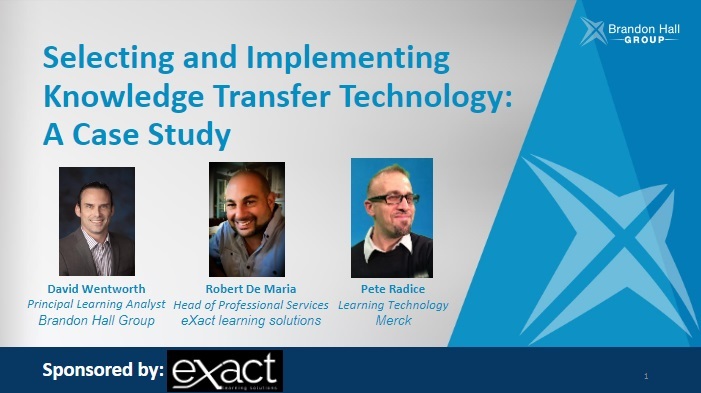 And while these solutions may provide the right environment logistically, they won’t be effective without the right content and can delay implementation even longer if you wait to get started looking at eLearning. That is why organizations need to look for eLearning solutions simultaneously with searching for or implementing a LMS. Businesses have many human capital management tools they can choose from to drive business outcomes. None are more versatile and potentially powerful as competencies. If managed well, competencies can be the foundation for improving recruiting, onboarding, learning, performance management, career management, succession management, engagement, talent retention, and much more. 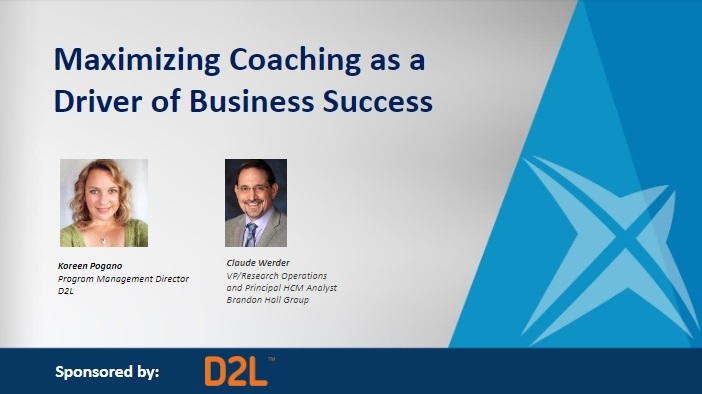 Progressive organizations are leveraging coaching and mentoring in all phases of human capital management, from traditional uses in learning and performance development to onboarding, wellness and well-being, diversity and inclusion, and much more. Coaching is fast becoming a framework for feedback to iterate employee performance at many different levels. Because of the interactivity involved, coaching and mentoring is also a strong engagement tool linked directly to employee performance. 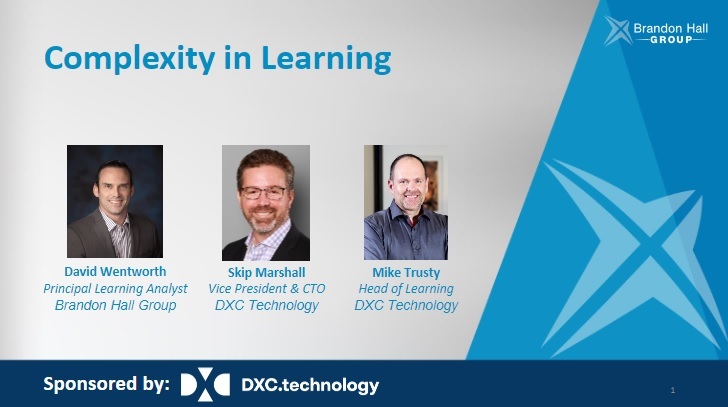 As more organizations move away from just-in-time learning to a more continuous, micro-learning model, the challenges come in supporting, measuring, and accounting for the shorter frequency of learning. While learning professionals can leverage technologies to address these concerns, it is critical for managers and supervisors to plug into this process in a meaningful way. After all, they are the ones who are best positioned to follow-up, evaluate, and implement the skills and knowledge that comes from their employees’ learning. 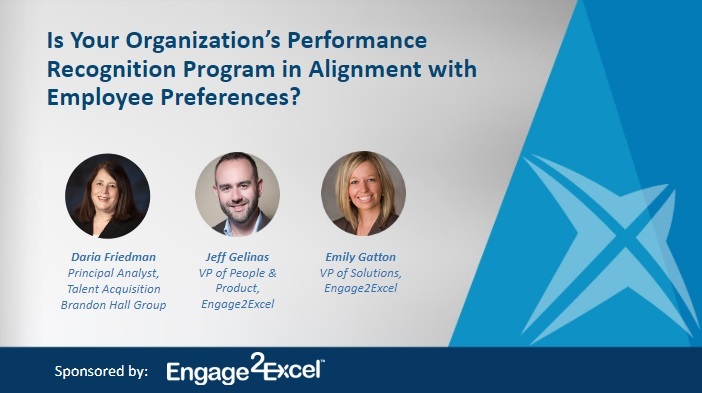 Is Your Organization’s Performance Recognition Program in Alignment with Employee Preferences? 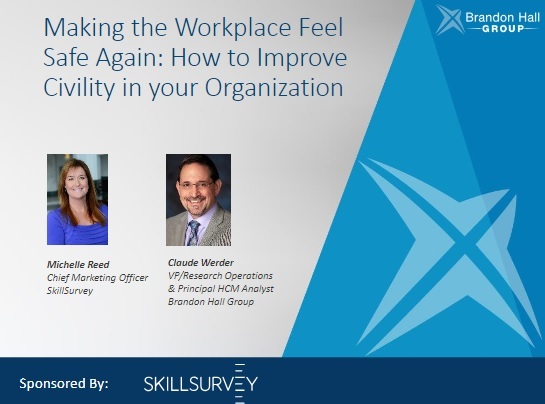 According to Brandon Hall Group’s Rewards and Recognition research, the majority of organizations implement their rewards and recognition program to improve employee engagement (78%), show appreciation (77%), and improve culture (70%). But what do employees think about their employer’s rewards and recognition program, and how is that program impacting their perceptions about their employer? Appreciation is a cornerstone of society -- existing in every culture on earth since the beginning of time. Statues are erected of people who impacted our world. Buildings and parks are named after great community leaders. Candidate experience is a big focus for the majority of organizations. 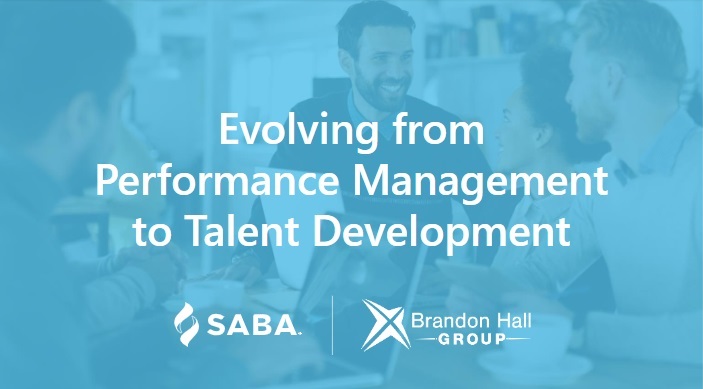 According to Brandon Hall Group’s 2017 HCM Outlook Survey, 63% of organizations are paying moderate to heavy attention to candidate experience. 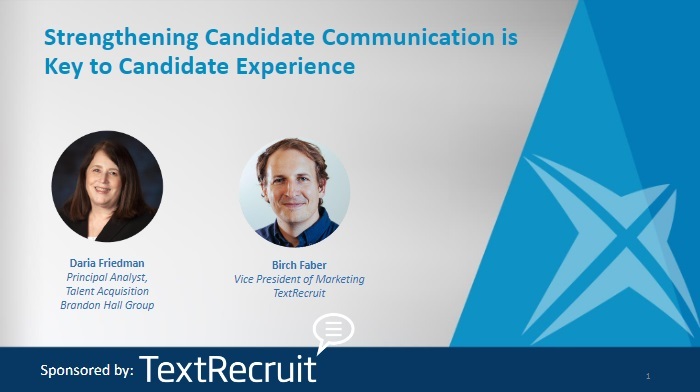 And, a substantial part of candidate experience is how organizations communicate with their candidates. 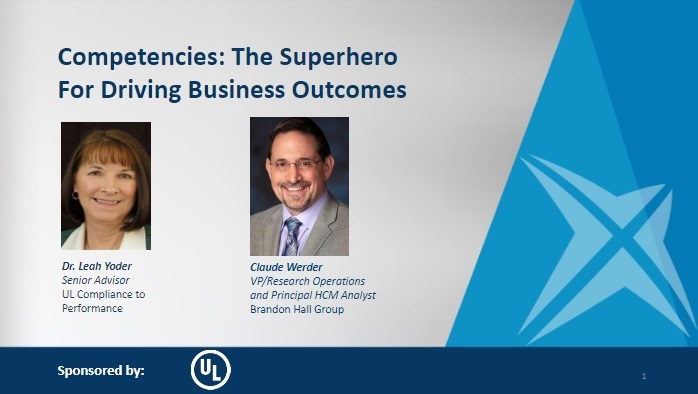 In this webinar, David Wentworth, Principal Analyst with Brandon Hall Group, and Brent Schlenker, CLO at Litmos, explore research around the technology needs of the enterprise organization, as well as real-world examples of how large-scale companies address these issues. 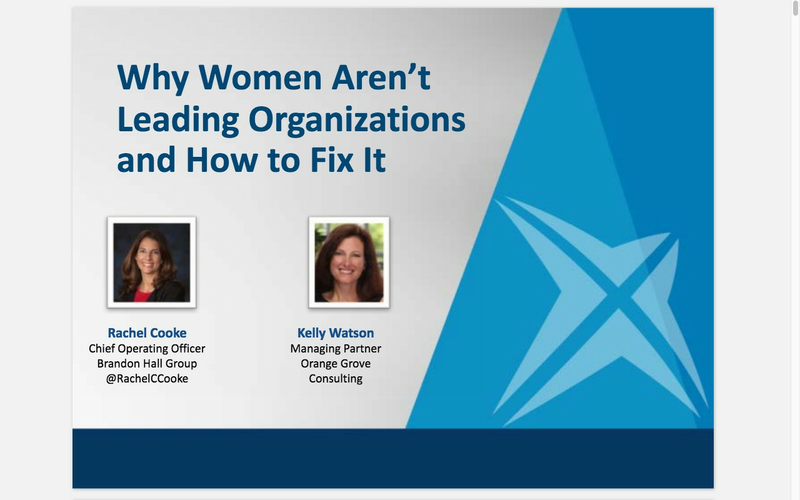 During this webinar, Brandon Hall Group COO Rachel Cooke and Kelly Watson, Managing Partner of Orange Grove Consulting, examined the findings and suggested paths for organizations to follow to improve their standing. The answer can be summed up in one word – strategy. But the truth is much more complicated than that. 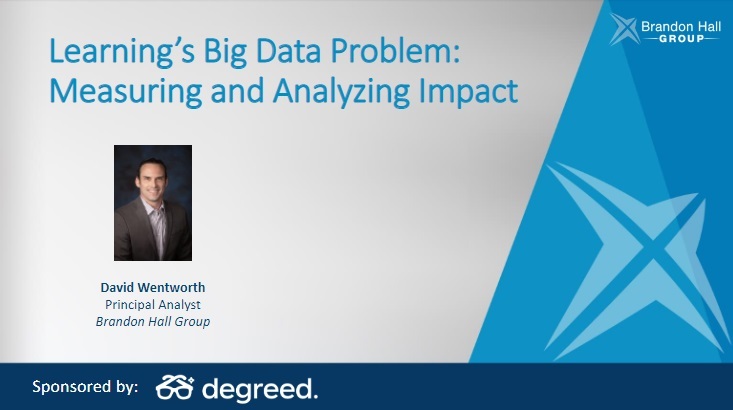 The Big Data floodgates have opened, yet most organizations have very little insight into the learning they are delivering beyond who took and completed a course. The problem is that learning technology has traditionally been unable to capture much else. 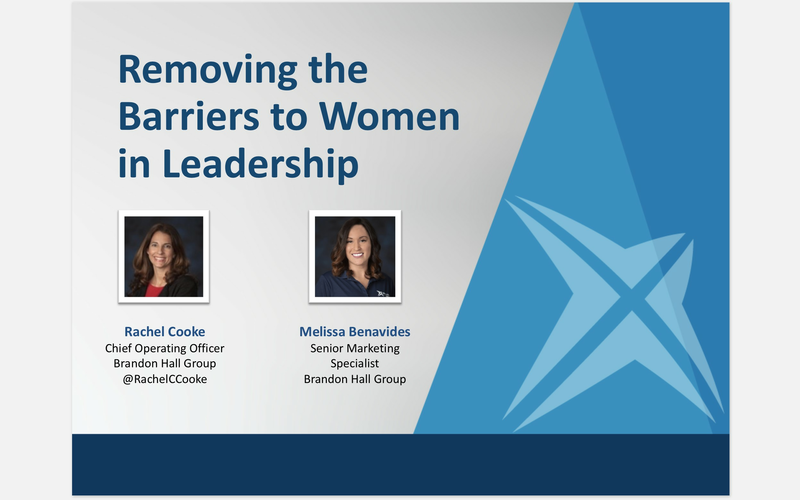 We discussed how cultural biases can create barriers that are limiting to individual women, as well as entire organizations. Organizations face many challenges when filling positions and when providing their own employees with a line of sight for potential new positions and development opportunities. Does the organization repurpose their career site for employees? Or, is it better to use a dedicated internal mobility technology solution? Organizations are quickly becoming home to an elaborate array of disparate technologies. How do we know which ones are the right ones to integrate? 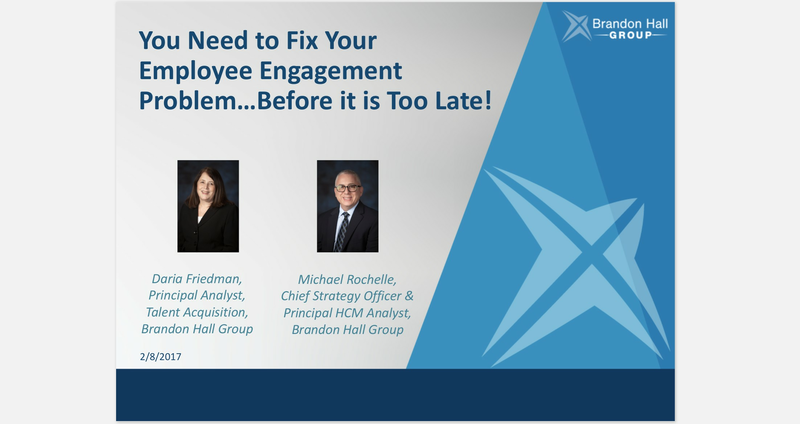 You Need to Fix Your Employee Engagement Problem…. Before it is Too Late! It takes more than an engagement survey and a few events to have an engaged workforce. 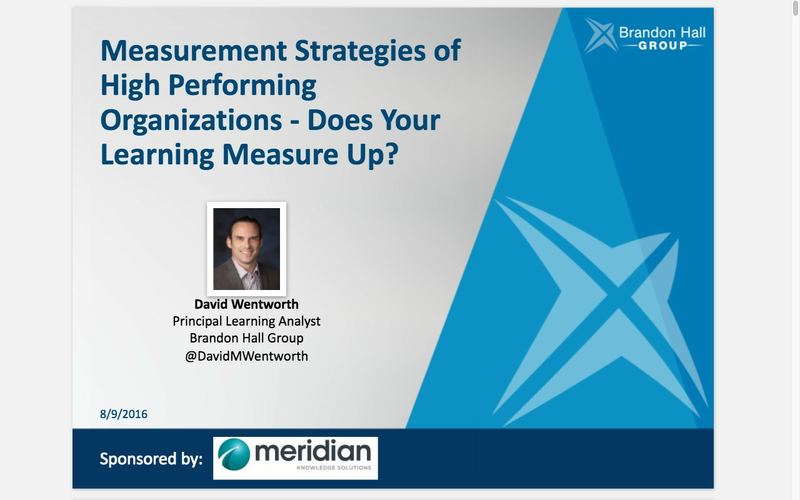 Measurement Strategies of High-Performing Organizations: Does Your Learning Measure Up? 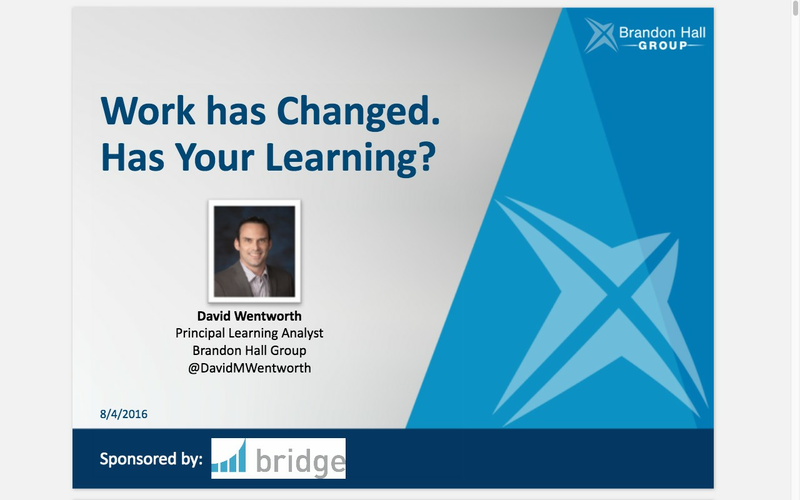 David Wentworth, Principal Analyst with Brandon Hall Group, explores the results of Brandon Hall Group’s latest survey on learning measurement and identifies the strategies of high performing organizations. 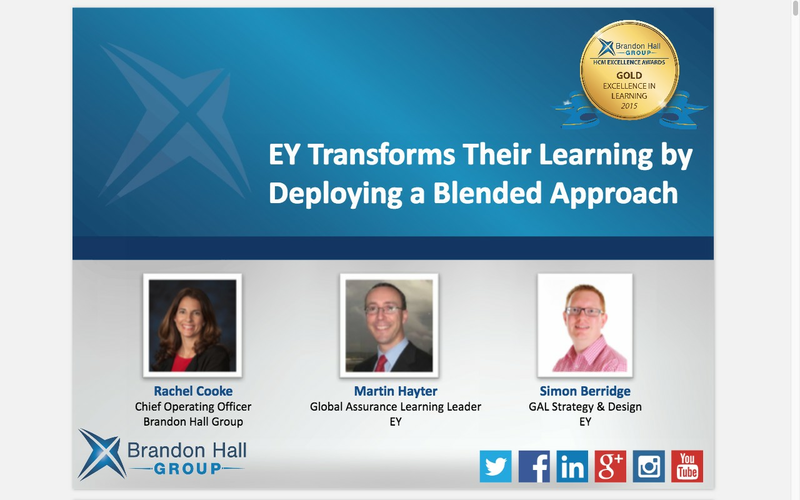 Y’s Audit Academy uses a blended learning approach built around a series of technology-enabled simulations, and has been deployed globally with great success. 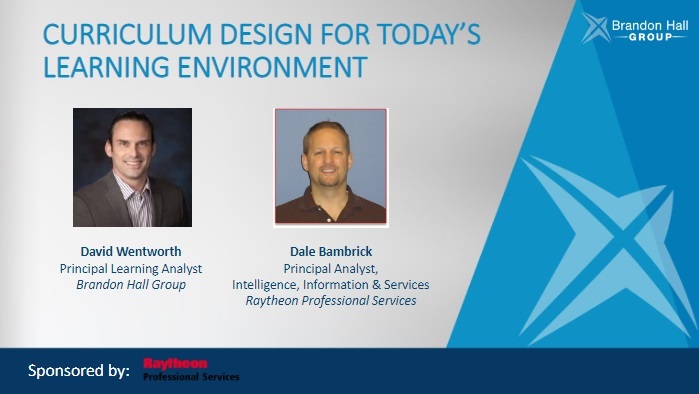 David Wentworth, Principal Learning Analyst with Brandon Hall Group, and Instructure explored strategies for developing the types of learning experiences necessary to engage and develop the modern workforce. 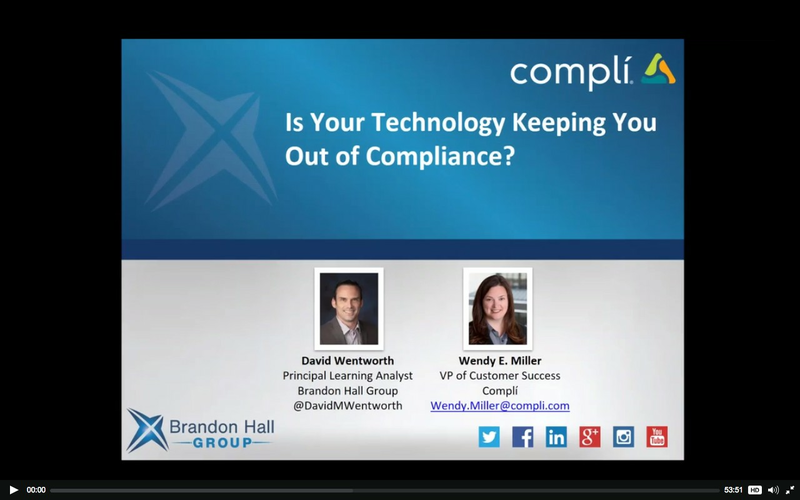 In this webinar, David Wentworth, Principal Analyst with Brandon Hall Group, and Wendy Miller, VP of Customer Success at Compli, look into the complex landscape of workforce compliance and the effective tools for delivering it. 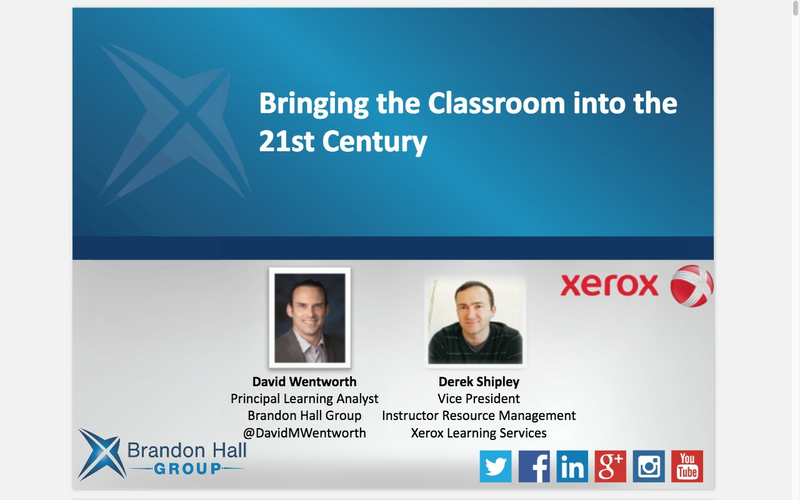 In this webinar, David Wentworth, Principal Analyst with Brandon Hall Group, and Derek Shipley, Vice President, Instructor Resource Management with Xerox Learning Solutions, looked at the multitude of opportunities for the classroom, and the tools necessary to manage them all for an effective, efficient experience. 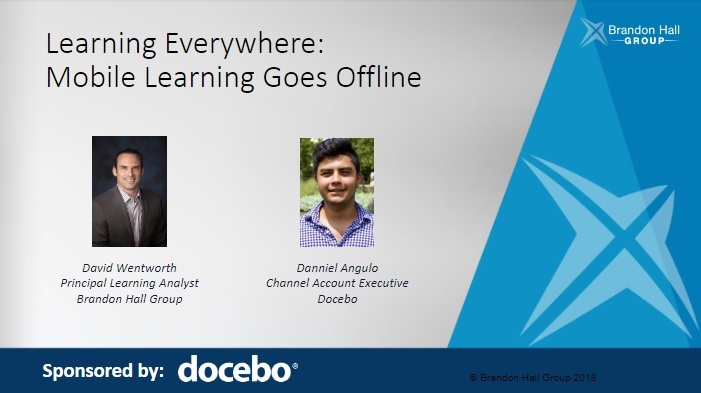 In this webinar, David Wentworth, Principal Analyst with Brandon Hall Group, and Josh Squires, Chief Operating Officer EMEA with Docebo, examined the state of learning today and how we can use technology to create engaging experiences that can provide meaningful engagements for the salesforce. 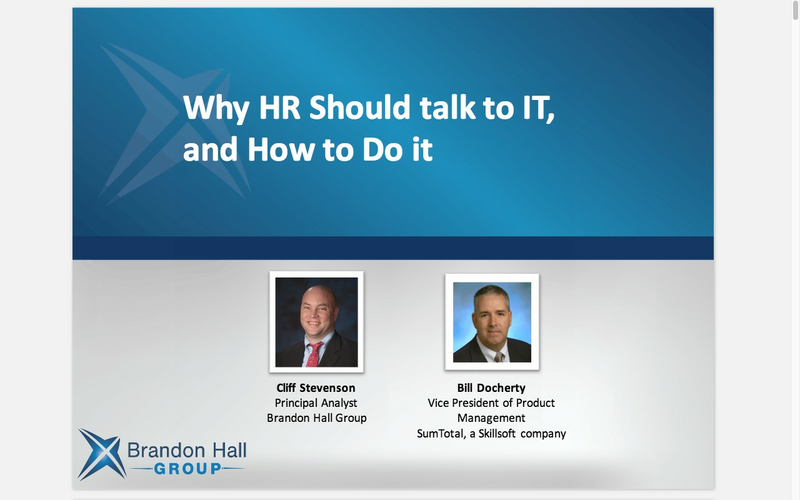 Knowing how information is stored, processed, and secured within our organizations is necessary for modern HR professionals, and this webinar helps you understand how interacts with IT, and the best practices for people data governance.